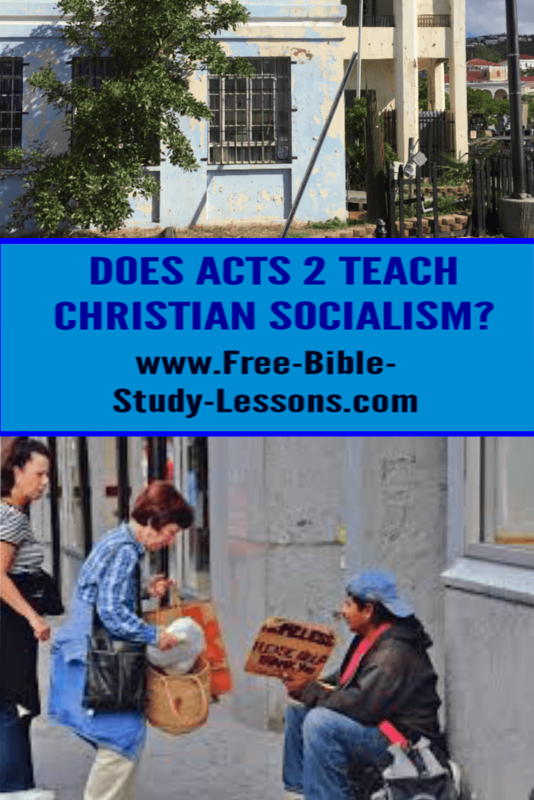 Is Christian Socialism Taught In Acts 2? Does Acts 2:44-47 teach Christian socialism? Are Christians expected to hold everything in common? Many have thought so over the ages, including our present time. Some have even believed that wives are to be held in common! Nevertheless, let us take a look at the Scripture in question. Before we can answer the above question, we have to answer three other questions. 2. What is the context of this Scripture? 3. Are we being instructed to follow their example? 3. (Government, Politics & Diplomacy) (in Leninist theory) a transitional stage after the proletarian revolution in the development of a society from capitalism to communism: characterized by the distribution of income according to work rather than need. Given this definition, does Acts 2 display Christian socialism? Socialism is usually carried out by the civil government. They require their citizens to surrender their property for the common good. In some cases in order to maintain an appearance of freedom, like in Canada and the US, wealth is usually taken by taxation and inflation rather than the actual seizure of property. In any case, such measures are violently enforced on all who want to retain their property. The above Scripture has many aspects of socialism. Everyone sold their possessions and shared. However, there are some differences. This was completely voluntary. 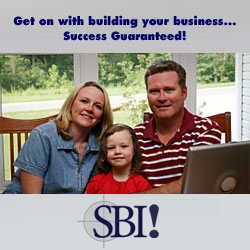 Even Ananias and Sapphira [Acts 5] were not condemned for holding back some of their income. Their sin was that they lied about it. Also, the civil government [Rome] and the religious government [Jewish leaders] had nothing to do with it. It was the voluntary response of the people. It was a love gift. If it had been required as a social mandate, it would have become theft. So while we can see some features of socialism in their actions, it lacks the violence and theft of state socialism. Even in a religious community, if people are forced to give more than they want to, it becomes theft. If we want to call this Christian socialism fine, but it must be totally voluntary without any pressure from leaders or peers. Those of you who have taken the Feed Yourself course know the importance of context. What was happening? Why did these early Christians act in this way? Was Christian socialism normal or exceptional? If you read the entire chapter you will see that Peter had preached and 3,000 people were saved. Later on, thousands more were added. This was at the time of Pentecost when Jerusalem was crowded with Jews from all over the world. Many of the Jews who converted did not live in Jerusalem. They wanted to stay on and learn more of their new faith before returning home; however, they had not planned for such a long stay. The church in Jerusalem had all these new converts who needed food and lodging immediately. This was an emergency situation. The generous Jerusalem Christians responded by selling their possessions to provide for these new converts. Another motivating factor was the knowledge of the coming destruction of Israel and Jerusalem. Jesus and others had warned it would happen in their generation - as it did. They knew that soon all their property holdings in the land of Israel would be worthless. They took advantage of that knowledge to sell their property and voluntarily gave the money to help their needy brothers and sisters. Acts is an historical book. It records what happened, it does not automatically mean it is a good example. For example, the historical book of 2 Sam. records David's adultery and murder, but it is not giving us an example to follow! To see if we are to follow their example, we need to study the total teaching of Scripture on Christian socialism. Our Christian Social Theory Workbooks give a general introduction to this topic. We cannot take one example in an historical book and use it to establish a doctrine. We must search Scripture for the big picture. We have to study to find out: Is so-called Christian Socialism really the Biblical answer? Finally, as part of studying their example, we have to discover if it worked. Although Jerusalem was destroyed within 40 years of Acts 2, the socialism had so destroyed the resources of the Jerusalem church in that short time that they needed help from others! Socialism - even Christian socialism - can not build and grow, it can only deplete what was already there. Were the Jerusalem Christians wrong in what they did? They had a unique emergency situation on their hands. They responded in love and concern - as we all should - but their solution did not solve the problem long term. While God had called some individuals to sell all and give all, that did not mean it was His will for everyone. With no one left with resources with which to rebuild, the entire church became poor and needing help instead of being able to give help. If God is calling you personally to sell all and give all that is fine, but don't expect that it is His call on every life or even that it is His call in general. What is mandated for every life is that Jesus is top priority. So what is our conclusion on the Christian Socialism of Acts 2? It was a voluntary [no government involvement] love response to an emergency need, but very soon [less than 40 years] it turned into a failure. The people who had generously given had to rely on the generosity of others.